While some may think that taking care of the way one looks is a sign of vanity, the way we look is actually really important. The first thing we notice when we look at a person and make assumptions, way before we even talk to them, is their clothes. Thus, it is important for people to be dressed appropriately and always wear nice, clean clothes and shoes. The shoe is one of the most important details of the whole attire because a well-paired shoe can really make a difference. While many occasions have dress codes that will allow for you to “get away” by wearing sneakers and jeans when the occasion demands a more formal attire you need to wear the appropriate shoes. Even though many men think that the combining of clothes, shoes, and accessories is only done by women, this is so not true. The men also have a selection of styles, models, and colors of clothes, belts, and shoes upon which they can build their own personal style. When you are getting ready to go to a formal event, then it is unforgivable to dress in a tuxedo and wear some pair of sporty shoes. And vice versa – when going to a casual party dressed in jeans or simple pants, then you should avoid the patent leather formal shoes and select something more casual. 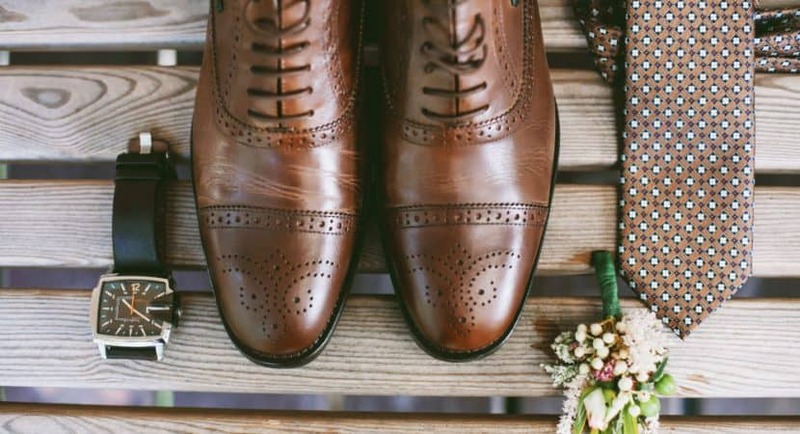 It’s true that men’s shoes come in less varied styles than the women’s, however, a true gentleman should know how to combine his wardrobe in order to dress for every occasion. The casual style is preferred by most younger men today. This means stepping away from the classic black suit and white shirt and black tie while adding a little color, patterns and mixing styles. The casual attire requires the wearing of casual dress shoes. This is can also be dependant on the occasion. If you work in an office environment, then you should know your office’s dress code and aim for more business formal attire and shoes unless you work in a cool environment that allows some more casual wear. If you are that lucky, then you can certainly wear jeans and some comfy and stylish looking suede, leather or even canvass shoes. While the most formal occasions like a black tie party, the opera or a wedding demand some classic attire and attitude where you need to wear classic Oxford formal dress shoes, in almost all the other occasions you can “get away” with wearing some more casual dress shoes. The casual dress shoe – as its name suggests, is actually a dress shoe that is meant to be worn in a more casual, laid-back setting and with more casual clothing. The perfect pair of casual dress shoes can bring you confidence and refresh the look of a suit. While we can’t argue on the comfort the sneakers, but there is certainly something to be said about the casual dress shoes. And no matter how trendy or stylish the sneakers really are, you should not wear them everywhere even if your feet enjoy them. There is a sort of an unwritten rule that every man should own at least one pair of decent dress shoes. Today, on the market there are a number of different casual dress shoe models that are really comfortable to wear and also stylish enough that can add a little class to your wardrobe. The selection of the casual dress shoe depends on your available budget and intended use. If you need to wear slacks or suits on a daily basis, then the shoes should match and you should go with selecting Derbies, loafers or Wingtips made from classic leather and with a finish in black, dark or light brown color. But if you wear a more casual attire, then you can certainly allow yourself a little freedom in selecting some more trendy casual dress shoes or Monks made from suede, buckskin or soft leather in some more bold colors like grey, blue, tan, camel or even oxblood. The main distinction in men’s shoe styles is made by their different fastening. There are Oxfords with the closed lace system, Derbies with open lace system, Monks with straps and buckles, loafers that are slip on, brogues with open or closed lace system and some decorations and the Chelsea boots that usually have an elastic gusset on the sides. These are the general groups of men’s dress shoes. And the further distinction can be made by the materials they are made from and the possible brogue or embellishments, decorative buckles, and even tassels. The casual dress shoes are usually in the Oxford, Derby or Monk style. In order to avoid the classical look, the casual Oxford dress shoe is made of unpolished leather, with a more casual looking sole in a different color than the upper. The same goes for the Derbies and the Monks. While many consider the loafer a really casual dress shoe, it certainly has its merits in the comfort department. Another style of casual dress shoes are the Wingtips. These are basically Oxfords with brogue details along the stitching and additional details on the vamp – the top front part of the shoe looks like an “M” when looked from above. When you plan to go to work and later hit a bar, you need to be dressed properly. While many times the clothes you wear to work can pass in the office or in a bar, you should really put some consideration into the shoes you’ll be seen with. To be able to look and feel comfortable and appropriate, you need to select good quality shoes that will reflect your style. The casual dress shoe selection is vast and with so many offers for every available budget, there is really no excuse for not getting some nice pairs of casual shoes. Also, with the different styles, colors, and models, every man should be able to find the perfect pair of casual dress shoes to express themselves no matter what the occasion.